Happy Thursday! Today I'm featuring the Art Gave Her Wings Stamp from Red Rubber Designs, combined with the Victorian Borders Cling Mounted Stamp from my last post, on this elegant blue and gold tag! 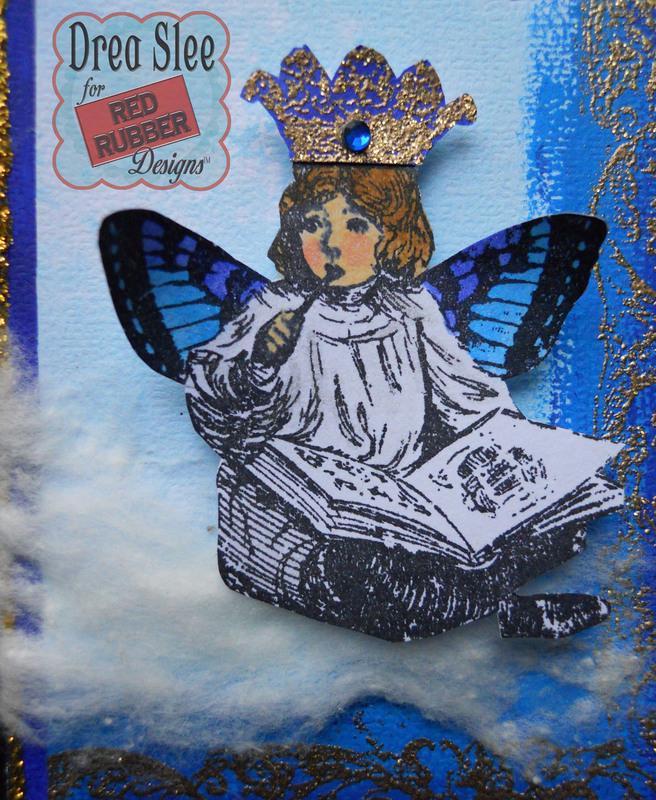 The image was colored with paints, sprays, and markers, with another layer embossed in gold for the crown, and popped up over a fluffy cloud made from a cotton ball. I sprayed the background with a little water and blue spray to create the sky. 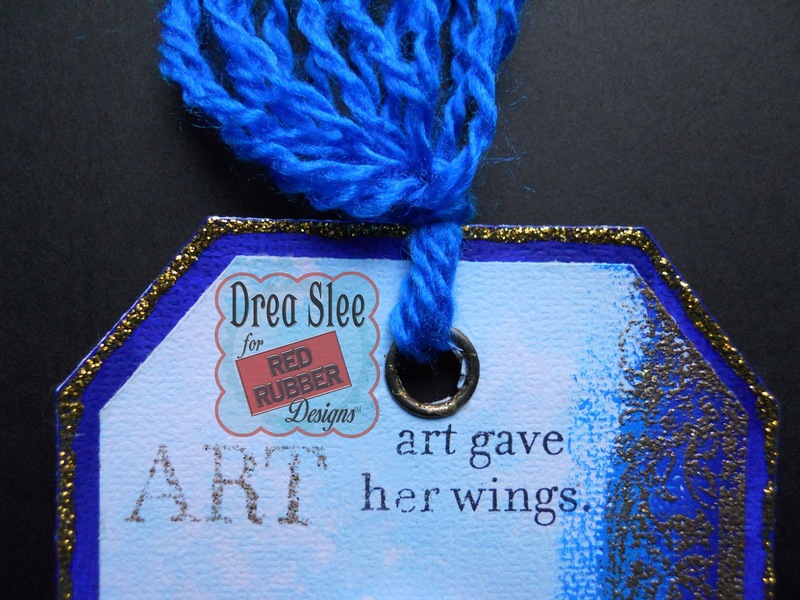 Then I added some bold colors of blue Dylusions Paints along the right and bottom of my tag. To create a mitered border with my stamping, I added a strip of masking tape at a 45 degree angel, before embossing half of my Victorian Borders stamp onto the painted edges. 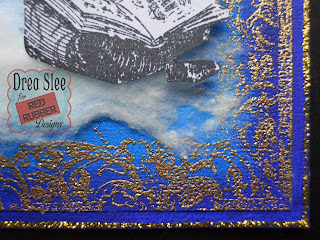 Then I layered it onto my slightly larger blue painted tag, and applied a line of Golden Rod Stickles along the edges. 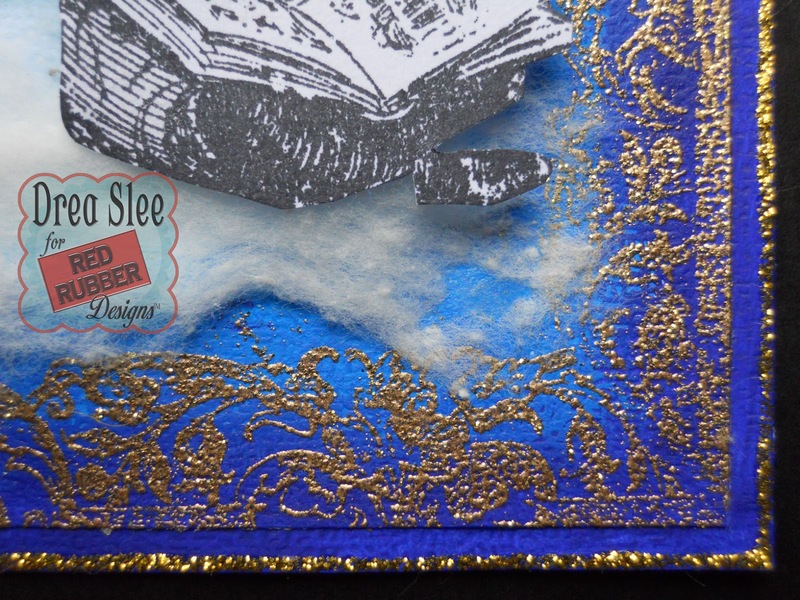 The sentiment was stamped with black ink, and ART and the grommet embossed in gold. Here's the result! Thanks for looking! Awww! Too cute!! LOVE the deep blue color of her wings. Check out the cloud! Love it!